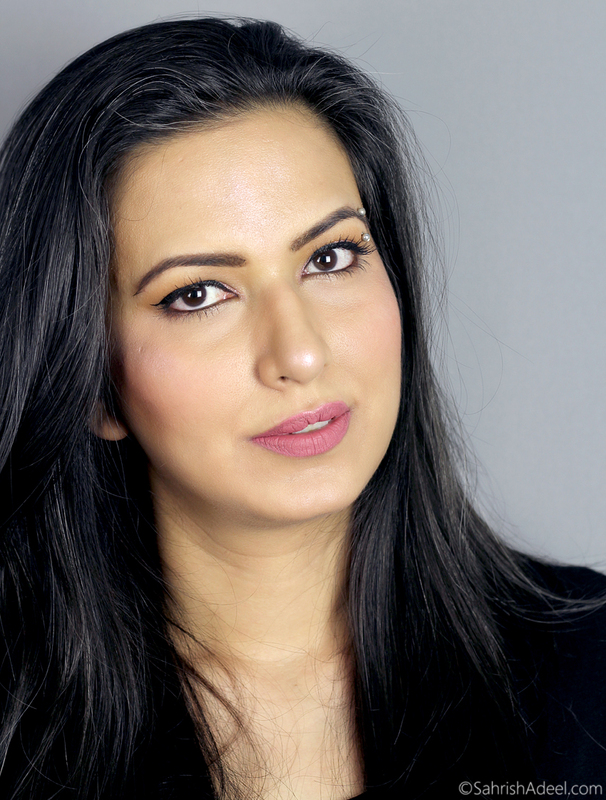 Velvet Noir Major Volume Mascara by Marc Jacobs Beauty - Review & Makeup Look | Sahrish Adeel - Malaysia based Pakistani Beauty & Lifestyle Blogger! 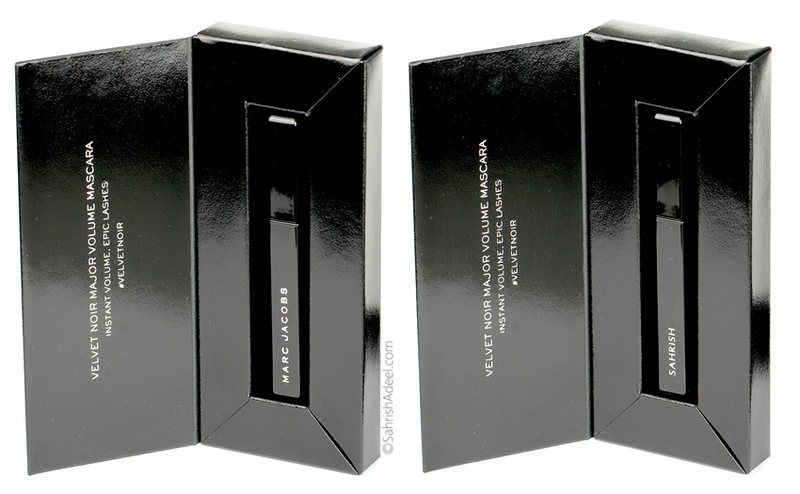 Today I am sharing my experience with Velvet Noir Major Volume Mascara by Marc Jacobs Beauty that came with my name engraved on it. 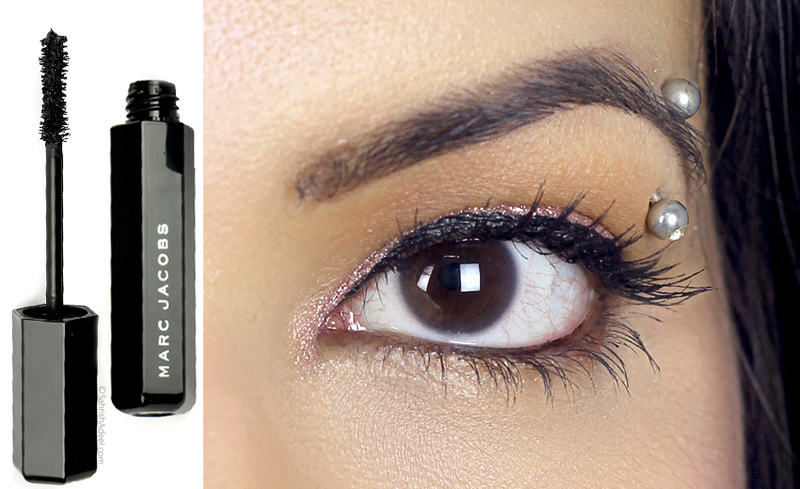 Find out if the mascara is worth the hype! The brand claims: 'Major Drama. Oversized Lashes. Velvet-Like Look. Experience 1800% more volume and the look of false lashes. The lash-maximizing, curvy brush places the most volume at the hard-to-reach center lash line, and the defining tip styles lash for major drama. The ultra-concentrated black pigment delivers the greatest visual impact, and the flash volume complex creates instant, smudge-free length and volume in three strokes or less. I love the packaging for Velvet Noir. It is a little towards the bulky side but the weight and overall feel work for me. The wand is also easy to use and the shape of the wand helps to achieve a decent curl while applying the mascara. As you can see in the close up of my eye, my eyelash looks decently curled. I did not use an eyelash curler prior to the application and I got enough volume and curl from one coat of this mascara. The formula works great once you get command on the application because while it gives you volume, it can also make your lashes look clumpy and spidery if you try to build it up. The mascara also takes a little longer to dry but once it is dried, it stays throughout the day. It is also water resistant which is a plus for me and comes off with a regular makeup remover but even better of an oil-based makeup remover is used. Touching your eyelashes during the day or trying to separate them if they clump together, can leave you with fall outs of fiber which can create a grey cast under your eyes. It really does not look pretty and at the end of the day, I do see some fall out even after being too careful. Overall, it is a great everyday mascara. You can definitely see a huge difference with one coat but it has a limit to give you volume before you will mess up. I personally have made my peace with one coat of this mascara and I give it a decent time to dry. I do not necessarily hate this but I would love if the drying time was faster when I am trying to apply more than one coat. I really wanted to love it more because it has my name engraved in it and it hurts to mention the cons of this mascara but the purpose of my blog is honesty and to help you make your makeup shopping decision easily. Velvet Noir Major Volume Mascara by Marc Jacobs Beauty is available at Sephora (US) and Marc Jacobs Beauty for US$26 and at Sephora (MY) for MYR 130. Have you tried this mascara yet? What is the most important thing you look for, in a mascara? Disclosure: PR sample(s) sent for review. I am neither paid nor compensated for my opinion. My readers are my priority and providing honest reviews is my responsibility. All opinions are my own and unbiased for the product(s) mentioned in the post.